Qi Men Dun Jia is an interesting subject. But mastering it takes time. From plotting out countless Qi Men Charts (1,080 to be precise) to tediously scrutinizing every sector - and repeating this process for every single forecast, Qi Men is energy draining at best. 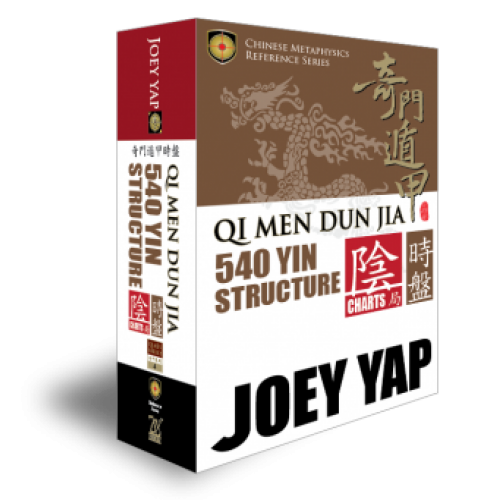 With this book, Joey Yap has drawn up all the Qi Men 540 Yin Charts and presented every single one of them in an easy-to-understand format, along with description of every sector in a simplified manner. Welcome to Qi Men in the 21st century. This book is best read with the Qi Men Dun Jia 540 Yang Structure, the Qi Men Dun Jia Ten Thousand Year Calendar, and with the Qi Men Dun Jia Compendium.